Our team of dentists and professionals are happy to live and serve the Frankfort, Mokena and Tinley Park, IL and other surrounding areas such as Chicago. PERSONAL PROFILE ERIC KLEIN, D.M.D. 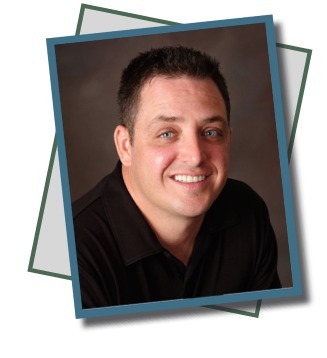 Dr. Eric Klein would like to introduce himself and the staff of Dental Boutique to Frankfort and the surrounding communities. He finished his undergraduate studies from Purdue University in 1993 and his graduate studies from Southern Illinois University School of Dental Medicine in 1999. While growing his practice into the success it is today, he completed his post-graduate training at the prestigious Las Vegas Institute for Advanced Dental studies in Nevada. Dr. Klein has obtained a LVI Fellowship (LVIF) which requires completing seven core programs and passing the LVI Fellowship written exam. Currently there are less than 500 LVI Fellows in the world. While at the institute, he and his staff underwent intensive training including completing cases on patients under the direction of some of the best teachers in cosmetic dentistry. Besides learning how to do the very best in cosmetic dentistry from LVI, Dr. Klein also obtained extensive training in TMJ problems and neuromuscular dentistry. Neuromuscular dentistry can help relieve many painful problems from migraine headaches, jaw pain & noise, ringing in the ears, vertigo, and neck and shoulder pain just to name a few. Dr. Klein is one of the few dentists from the area that has completed a program that teaches these skills. His commitment to excellence is emphasized by undergoing this training to provide patients with only the best restorations and care possible. By undergoing this training, he has achieved the clinical ability that few dentist in the country are even aware exists. Dr. Klein currently holds a Fellowship with the Academy of General Dentistry (FAGD) as well. This fellowship requires over 500 hours of coursework and passing a comprehensive written exam. This achievement marks a significant milestone in his career, because the award demonstrates his long-term commitment to going above and beyond continuing education requirements to provide his patients with the most up-to-date treatment options. Dr. Klein has begun his Accreditation process with the American Academy of Cosmetic Dentistry (AACD). This is a very intense and involved process which requires the dentist to attend the AACD annual meetings (some of the latest and most advanced courses in cosmetic dentistry), pass a written test, attend the AACD cosmetic workshops and submitting and passing five actual cases completed by the dentist on his own patients. The five cases test the dentist’s skill and ability in all areas of cosmetic dentistry and are reviewed. Dr. Klein is also certified in Category II in Laser Dentistry. Dr. Klein is a member of some of the finest dental organizations in the country: American Academy of Cosmetic Dentistry, American Dental Association, Academy of General Dentistry, Illinois State Dental Society, Chicago Dental Society, Academy of Laser Dentistry, International College of Cranio-Mandibular Orthopedics ICCMO, International Association of Comprehensive Aesthetics IACA, American Academy of Craniofacial Pain AACP and the American Academy of Dental Sleep Medicine. He was the chairperson for the Children’s Dental Health Month Awareness Program for the Whiteside-Lee County Dental Society in both 2000 and 2001. Dr. Klein holds the Society of Dental Practitioners Law and Ethics in Dentistry Award and the Quintessence Dental Award. Dr. Klein was born and raised on the south side of the city of Chicago. He is involved in many local activities and community groups. He lives in Frankfort with his wife, Amy and three daughters Easton, Nia and Melaney. His main hobbies include hunting and fishing and playing with his children. 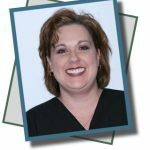 Karen has been a dental assistant for more than fourteen years and has worked with Dr. Klein since 2006. 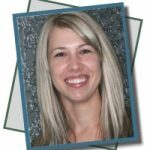 She loves the ever-changing dental field with the education it offers, especially in the area of neuromuscular dentistry (NMD). Dr. Klein’s extensive training in NMD has enabled him to free her from her eighteen year battle with migraines. Karen has been pain-free since March of 2007. She likes to tell people. I’m not only a team member, I’m also a patient. During her off time, she loves to read and play with her two dogs. Doreen is one of our treatment coordinators at the office. 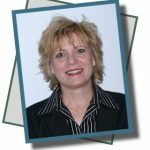 She started with Dr. Klein in 2006 and brings 22 years of dental experience with her. If you have questions regarding treatment, dental insurance or billing, she can help you. She enjoys spending time with her daughters, gardening, yoga and fitness training. 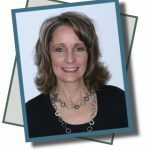 Deb graduated from Olivet Nazarene University with a BA in Business Administration and a Masters in Organizational Leadership. She has been in the dental field for nine years and with Dr. Klein since 2003 where she is in charge of office systems with a focus on patient relations. Deb has three grown children and enjoys reading, fitness walking and spending time with her friends and family. Liz is a registered dental hygienist and the newest member of our hygiene team. She prides herself on her gentle hygiene appointments and putting nervous patients at ease. Outside of the office, Liz enjoys being active outdoors whenever possible and is currently pursuing her Bachelor’s Degree in Healthcare Leadership at Lewis University. Anna joins our team as our newest dental assistant and enjoys helping our patients achieve a healthier smile. 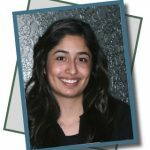 She has the advantage of being bilingual which helps her communicate more effectively to our patients that speak Spanish. In her free time, Anna likes to spend time with her family and friends.